Focuses healing energy where ever it is placed - particularly the throat chakra to enhance communication. Helps quickly release pent up emotions. Stimulates intuition and psychic ability (mediumship). Opens wearer to a new sense of fulfilment and peace. Enhances nurture/nourish qualities particularly with verbal expression. Spiritual protection from lower energies and disturbing dreams. Balance and clear chakras and meridians. Very good for healing attitudes to family rifts etc. . Excellent protection and grounding stone. Particularly good for when boundaries are being crossed by people in the work place. Brings good luck and prosperity. Heals the mental processing and restores confidence and verbal expression.Also brings courage and healing to the sacral and base charkas. Tiger eye is a beneficial stone as it can enhance good luck and bring prosperity. This stone should be worn alone, and can bring healing to the mental processes, confidence and fluidity to speech. A pefect stone for one who is in need of money or is on a spiritual journey. Promotes clear thinking and gentle, loving kind verbal expression. Helps us to be aware of and to express our feelings. Resonates with the brow chakra, and combining seeing with undersetanding. Said to provide strength to the entire phsycail body. May be beneficial for treatment of endocrine problems and asthma (amongst others). Can be worn or put in bedroom for treatments of asthma and thrombosis. Powerful heart chakra stone, delivers positive energy into the entire aura and resonates with the heart chakra on all levels. Also beneficial for those “nurturing the inner child”. Calms and balances. Stimulates the root chakra, grounds and protects. Helps to gather scattered energies to provide zest to surmount problems. Assists to balance (considered a yin/yang stone). Assists one to be optimistic despite lifes challenges and to realise that self is aligned with divine and motivate to tackle problems. 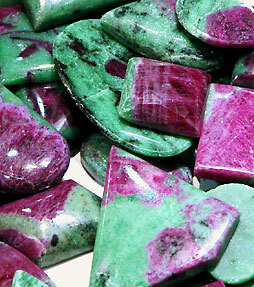 Encourages dreams and manifestation, and to enjoy the beauty and take greater pleasure in the earth environment. Helps transmute negative and heavy energy into positive and lighter energy. Physically may assist with kidney/bladder problems. Supports growth and development mental and physical planes. Encourage to live joyfully. Exceptional for menopausal women., and assists with relationship building.